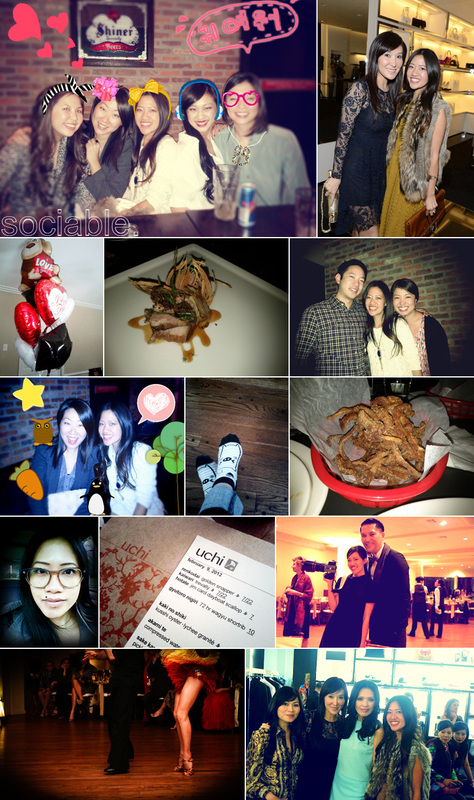 had a busy week from hanging out with the BFFs to my local fashion icons Marc & Duyen and eating at new local hotspots Uchi (yes it is just as delicious as the Austin locale) and the hay merchant for some craft beers and fried pig ears. YUMMY. in between working and shooting a gala with world champion dancers! oh and i also ordered a pair of new glasses for "free" right now from coastal a good deal if you have a light prescription, lots of frames to pick from. also reminder the shopbop giveaway below is ending soon!! Looks like a stellar time! That first picture is awesome, love it. p.s. Fried pigs ears? Are they any good?? Such a cute post, it looks like you've been having so much fun!